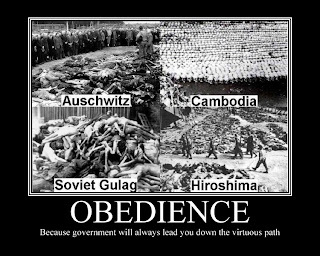 The author of this blog has compiled a list of all the deaths in the 20th Century that were due to wars, massacres, slaughters, and other episodes of government oppression (i.e. starvation). He cites many sources and his analysis appears very thorough. His total for the 20th Century is 203 million people. If the famine deaths are deducted from this number we are left with 145 million people - that is 145 million lives that were extinguished by someone following orders from a government official. Let's compare that number to the number of deaths that occurred during the 20th Century due to homicides. These are deaths perpetrated by non-government persons. To estimate the number of homicides that took place in the 20th Century I used two statistics - yearly homicide rates and yearly world populations. I could not find actual numbers for either one of these statistics so I had to do some estimation. I found recent world homicide rates here . I was able to consolidate the data and produce average world homicide rates for the years 2003-2008. I was unable to locate rates before 2003. For my analysis I used a rate of 10 homicides per 100,000 population. I then estimated the population (interpolating for earlier years) of the world from 1901 to 2000 and applied a homicide rate of 10 homicides per 100,000 population per year. See the table at the end of this post for world homicide calculation. The estimated number of homicides for the 20th Century are 31.5 million. 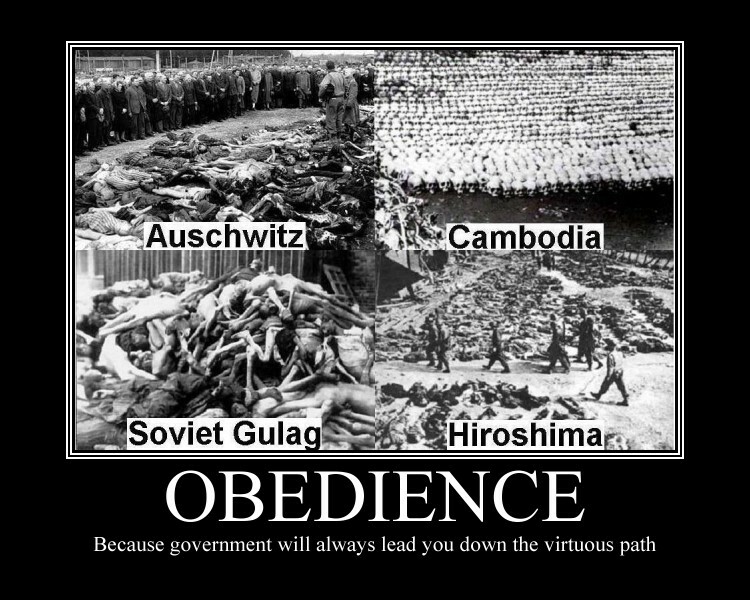 During the 20th Century 145 million people were killed by obedient government servants while 31.5 million were killed by private citizens. Thus, you're violent demise is 4.6 times more likely to come at the hands of someone wearing a government uniform versus a private citizen. For those who think government is needed to provide "security" I would beg to differ. I would feel safer if there was a lot less government "security".